Sir John A. Cumber’s goal scorer Hannah Bryan (red) in action against George Town Primary. While the rest of the Island bathed in the warmth of the tropical sun this past Saturday, West Bay was experiencing continuing showers as third round games in the 2018 CUC Primary Football League (PFL) and CUC Girls’ Primary Football League (GPFL) regular seasons were played at venues across Grand Cayman. Followers of the beautiful game throughout the years recall a fierce but competitive district rivalry between West Bay and George Town. From the great senior clubs of yesteryear such as Woods United and Republic Lions, to the grounds of West Bay Primary School (now Sir John A. Cumber Primary School) and George Town Primary School, a healthy rivalry still exists. This past Saturday, the rivalry continued as George Town Primary travelled to West Bay to face Sir John A. Cumber Primary in Group A. In the Under 9 boys encounter, George Town’s Jayce Hurlston netted the game’s only goal in the 21st minute – advantage George Town. In the Under 11 girls match-up, Sir John A. Cumber’s rampant Kaysia Lee sealed her school’s first three points of the young season, scoring three times in the 12th, 32nd and 35th minutes in her school’s 4-0 triumph over the young ladies from George Town. Kaysia’s strike partner Hannah Bryan scored in the 19th minute as George Town found it extremely difficult to contain the dangerous duo. 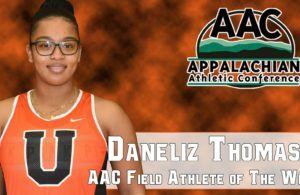 In the district count, it was all even – one a piece. In the day’s final game, the Under 11 boys did not disappoint the small crowd of parents and supporters that had gathered. 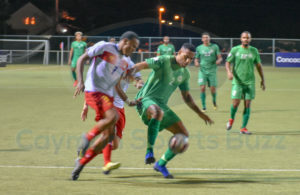 Sir John A. Cumber’s Gabriel Matthews opened the scoring in the 20th minute as he latched onto a long, through ball before blasting it past the George Town goal keeper. In the 26th minute, just on the stroke of half time, George Town’s Azani Chambers levelled the score with an ambitious ‘scoop’, which deceived the Sir John A. Cumber goal keeper and defenders. Following the break, Sir John A. Cumber’s Zephon Ebanks restored his school’s lead in the 42nd minute with a curling free kick that George Town Primary’s goal keeper could not handle. Unfortunately, the West Bay outfit could not hold on to the lead as George Town’s Fred Boothe slotted home the equaliser in the 47th minute from the penalty spot after Azani Chambers was upended in the box. The game finished 2-2 and it was fair result for the effort put out by both sets of players. In other CUC PFL Group A games it was St. Ignatius Catholic 4 vs. Cayman International U9 White 0 (Respect Rule – Under 9); St. Ignatius Catholic 2 vs. Cayman International U11White 2 (Under 11); and Savannah Primary 1 vs. Cayman Prep 9B 0. 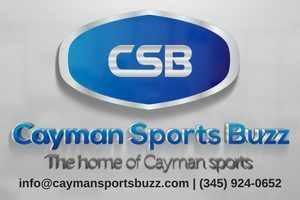 In the CUC PFL Group B games, it was Cayman International 9Blue 1 vs. South Sound Schools 2 (Under 9); Cayman International 11Blue 2 vs. 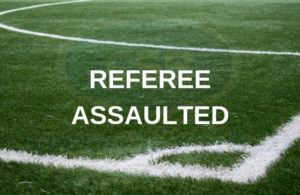 Prospect Primary 2 (Under 11); NorthEast Schools 0 vs. Cayman Prep 9A 4 (Respect Rule – Under 9); NorthEast Schools 0 vs. Cayman Prep 4 (Respect Rule -Under 11); Triple C 2 vs. Bodden Town Primary 0 (Under 9); Triple C 3 vs. Bodden Town Primary 1 (Under 11); and Cayman Brac 0 vs. Red Bay Primary 2 (Under 11). 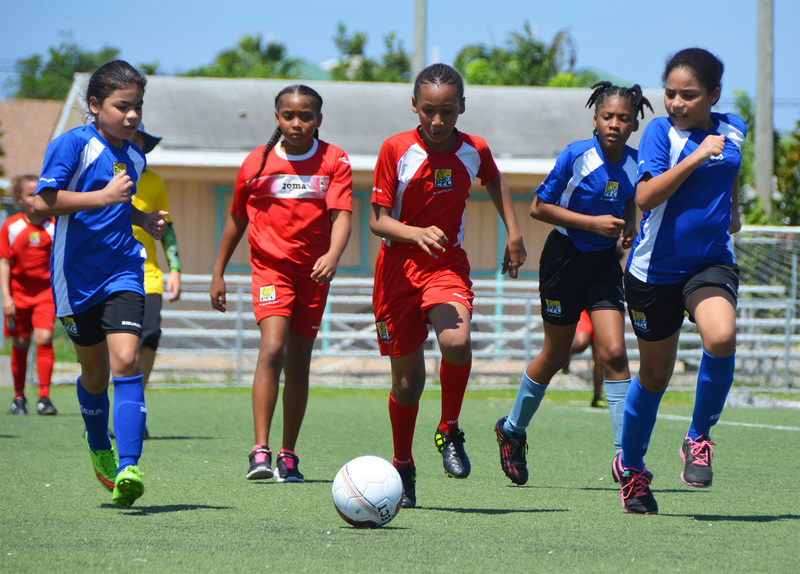 In other CUC GPFL Under 11 game played, it was St. Ignatius Catholic 3 vs. Cayman International School 2; Savannah Primary 2 vs. Cayman Prep 2; and Bodden Town Primary 2 vs. South Sound School 3. The 2018 CUC PFL and GPFL regular season continues this Saturday, 20 October with games at the Annex Field, St. Ignatius, Dart Field, Ronald Forbes Field, Prospect Primary and Bodden Town Primary School.